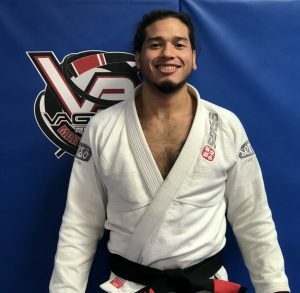 Coach Ariel started Brazilian Jiu Jitsu when he was about 17 years old. He initially wanted to be in shape and learn self-defense but like majority of us, he immediately fell in love with the art and he has training ever since. With his skill and dedication, Ariel received the opportunity to be one of our instructors. Beginning of 2018, he was awarded to Black Belt by Vagner Rocha. He is passionate on passing his Jiu Jitsu knowledge to our kids and adults. Outside of Jiu-Jitsu, Ariel enjoys fitness, nutrition, and living a healthy life style.